The world is in desperate need for a new kind of leadership. The type of leadership we’ve seen the last several decades has produced record low levels of trust and engagement in the workforce, so clearly what we’ve been doing isn’t working. We need a leadership philosophy grounded in the knowledge and belief that the most successful leaders and organizations are those that place an emphasis on leading with trust. A critical step for leaders and organizations to take to realize the benefits of high levels of trust is to establish a common definition and framework of how to build trust. Most people think trust “just happens” in relationships. That’s a misconception. Trust is built through the intentional use of specific behaviors that, when repeated over time, create the condition of trust. Oddly enough, most leaders don’t think about trust until it’s broken. No one likes to think of himself or herself as untrustworthy so we take it for granted that other people trust us. To further complicate matters, trust is based on perceptions, so each of us has a different idea of what trust looks like. Organizations need a common framework and language that defines trust and allows people to discuss trust-related issues. Research has shown that trust is comprised of four basic elements. To represent those four elements, or the “language” of trust, The Ken Blanchard Companies created the ABCD Trust Model—Able, Believable, Connected, and Dependable. For leaders to be successful in developing high-trust relationships and cultures, they need to focus on using behaviors that align with the ABCDs of trust. Connected—Connected leaders show care and concern for people, which builds trust and helps to create an engaging work environment. Research by The Ken Blanchard Companies has identified “connectedness with leader” and “connectedness with colleague” as 2 of the 12 key factors involved in creating employee work passion, and trust is a necessary ingredient in those relationships. Leaders create a sense of connectedness by openly sharing information about themselves and the organization and trusting employees to use that information responsibly. Leaders also build trust by having a “people first” mentality and building rapport with those they lead. Taking an interest in people as individuals and not just as nameless workers shows that leaders value and respect their team members. Recognition is a vital component of being a connected leader, and praising and rewarding the contributions of people and their work builds trust and goodwill. By using the ABCD Trust Model, leaders can focus on the behaviors that build trust, and by sharing this model with those they lead, create a common framework and language for discussing issues of trust in the workplace. This article is an excerpt from the chapter I wrote for Trust, Inc. – Strategies for Building Your Company’s Most Valuable Asset, a collaborative effort by 30+ thought leaders including Stephen M.R. Covey, Charles H. Green, James M. Kouzes, Barry Z. Posner, and edited by Barbara Brooks Kimmel of Trust Across America. I agree. Very good point made in this article. Great post Randy! I completely agree with everything you wrote here. A good leader does maybe two of these things. A great leader does them all. Thanks Sam! I’m glad you found it helpful. Thank you Randy for sharing this very sensible article. I like your key points on which leaders build trust. I’m glad you found it helpful. Thanks for taking the time to comment! Being Able is important because having the skills and ability to do the job makes you a professional. Keeping promises and not lying makes you a Believable person.It also important to Connect with people by genuinely showing people that you care and, finally, if you’re not Dependable, no one will want to work with you because they’ll know you’re only talk and no action. Great article! Things I need to constantly remember on a daily basis! I agree. It’s just that important. It is so true. Leaders who practice the ABCD trust model are more successful. I have experienced both sides, and the culture and work environment are much healthier with a leader everyone can trust. Trust certainly affects the work environment and the culture as a whole. The ABCD model is a great way to show how trust is developed; It doesn’t just “happen”. I really liked the ABCD Trust Model. So utilizing the ABCD method to build trust is a great way for leaders to truly be leaders and even show by example to their team. In return hopefully this methodology would pass on and continue to strengthen the entire team. That’s correct Rachael. The ABCD model captures the four elements of trust that need to be present in a relationship, and it’s the common language of trust that everyone can speak. I think it is very beneficial for everyone to learn and understand that building trust within the team and organization is the key to building a strong team structure for any company in order to be successful. I totally agree with the observation that most leadership styles result in low levels of trust. But I would amend the conclusion of the thought with “which causes a lack of engagement in the workforce.” As an employee, I have been discouraged when I have put my trust in what leadership says they are going to do and then they only talk and never follow through. In response, I become just as disengaged as they are and they lose the ability to influence me. Great add to that thought Susan. I appreciate you taking time to lend your perspective. 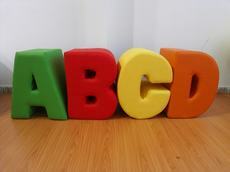 I like the ABCD model of leadership. In order to help tis generation, we should step up one level up .we should work on building good relationship with people we lead. This has to be intentional. It calls for accountability and honesty. For this to happen, as leaders , it is good to listen to others, and the skills we have also, will help us connect well with the people we serve. . I think that when we have the right skills, we are able to connect well with others, and they we are more dependable and effective at our jobs. I’m so glad Connectedness is added as a component of trust. I think this is the one piece that’s missing, in some organizations at least. Many leaders are able, believable and dependable, but unless they connect with the people, full trust couldn’t be realized. I subscribe to that as well, Randy.